Daniel is a local boy, born and raised in Inglewood with barbering in his blood. He started right out of high school following in his Grandfather’s footsteps who had a barbershop in Mexico City. Daniel loves giving a nice hot towel, straight-razor shave and a gentleman’s scissor cut whenever he can. So much so that he gives back to his community and the country the best way he knows how, by cutting Veterans' hair on his days off. Tariq is a traveled man. He’s lived all over this great country of ours. Born and raised in Massachusetts, lived and worked in Oregon and now he’s finally settled himself into our beautiful city. You may see him outside of work "riding old crusty motorcycles" as he puts it or out in the wilderness camping. When we asked him his favorite haircut he likes to give he responded: “I like the classic businessman haircut, low taper but I say bring back the flattop and mullet.” Yup, the guy’s a legend. Lucas the legend (as he’s known at Svelte) is Brazilian born and raised but feels right at home in LA. He fell in love with the hair game when he first went with his mother to the hair salon. From there forward he couldn’t get the shapes, colors and styles out of his head. After graduating college he still felt unfulfilled, so he decided to follow his dreams and become a barber. He has been perfecting his craft for over 13 years, only being satisfied by his client's satisfaction. Thomas couldn’t be more proud of being South Bay-born and raised. It’s also the place where he learned to cut hair 7 years ago. He started out practicing on his friends and family until they were banging the door down for his cuts. He is a master of the clippers and specializes in his favorite, tapers and fades, baby! Thomas loves keeping his clients cuts tight as a banjo and looking prom-fresh. Jody, growing up in Venice always had an eye and passion for cutting hair. The desire she had for cutting and shaping brought such curiosity that she even cut all the hair on her sisters dolls into mohawks when they were little. Her style of cutting is much like the music she loves, Jazz, creating smooth side-part pompadours and classic mens styles. 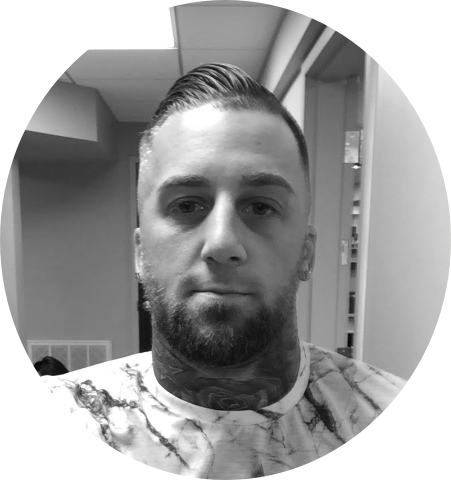 Nicky has been around since the inception of Svelte, but found interest in barbering over 10 years ago. While hanging out in a barbershop his older brother Timmy owned in Boston where they grew up, he realized all of the barbers there were having fun while making money. Always a creative, Nicky took to it instantly. 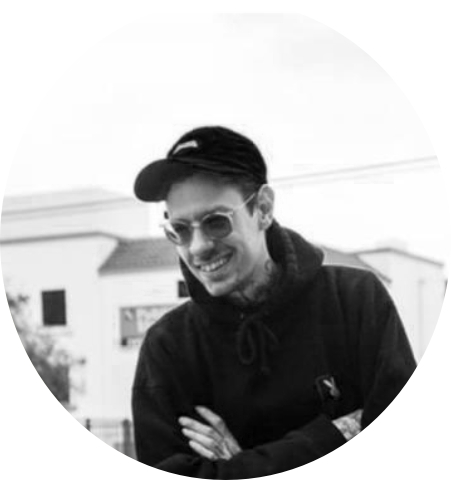 He flexes his artistic ability on every haircut and will tell you in great detail the love he has for timeless natural haircuts and his 1970 Honda Goldwing motorcycle. Steve is our boy from Queens. He’s been cutting hair for more than 12 years and you can tell from his amazing haircuts. He started cutting hair in college for some beer money and while doing so, realized he was doing his dream job. He will give you a clean, skin tight fade or a smooth, sophisticated gentleman's tapered cut. 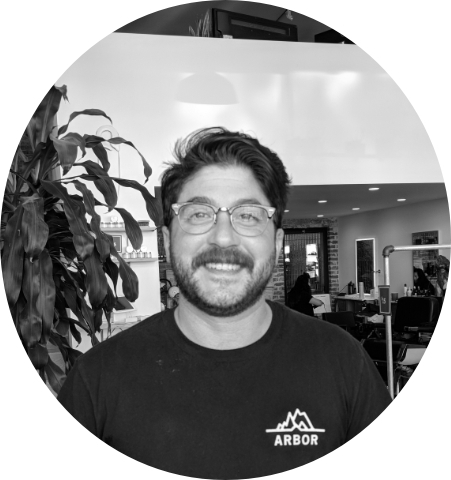 Steve considers barbering an art and when you see the finished product, you’ll understand why. Erik is a Hoboken guy just like Sinatra and his haircuts are equally as smooth. Must be in the water there or something. He grew up sweeping the floors of his father's barbershop before eventually going to art school, realizing there that barbering itself is an art and he could let his creativity flow while getting paid for his skills anywhere. When he’s not creating in the barbershop he’s creating on a canvas, painting. Ask Erik about films and he may just wow you with his love and knowledge of that too! Bill loves haircuts and always has dating back to a very young age when he would be adamant about getting his hair cut every week. He’s one of those guys who loves his job so much he wouldn’t even call it his job and you can tell by his haircuts. When you sit in his chair you can feel the love and attention to detail put into your haircut. He’s also another Boston guy so you know he can talk sports with ya. Timmy is kind of the Mr. Miyagi around Svelte. Not just because he’s older than all of us, but because he’s been cutting hair since he was 12 and has been opening/operating shops since he was 18. He’s got 6 barbershops under his belt from Boston where he grew up, to Beverly Hills, and now Svelte. His experience and barber knowledge runs through every strand of Svelte’s DNA and it all stems from the very reason he started Svelte in the first place; the idea that the only thing standing between a man and him feeling and looking his best is information. Dan is not a barber, even though he wishes he was so he could stop getting razzed at company parties. He’s a regular guy who realized that barbers speak a different language than their clients and that language barrier has always been the problem with men’s grooming. He saw early on that if you want to make mens grooming effortless for normal guys, you have to be able to translate a barbers knowledge into palatable information. Thanks to Dan’s translation we can be the informative, trustworthy grooming brand we are today.